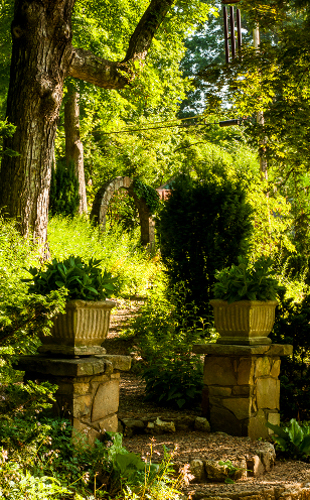 The Savage House and Garden is a historic home and garden in the Fountain City Community of Knoxville, Tennessee. Built in 1917, the house and its garden are listed on the National Register of Historic Places. Arthur Savage (1872-1946), an immigrant from Leamington Spa, England, built the house and garden during World War I. Along with his older brother, W.L. Savage, Arthur made a small fortune in the early 1900’s manufacturing industrial equipment. Savage was president of the Ty-Sa-Man company, once located in what is now World’s Fair Park, which specialized in the manufacturing of marble-cutting equipment. Savage loved rock gardens, and established several in East Tennessee, including one in Lake City, along with the one in Fountain City. 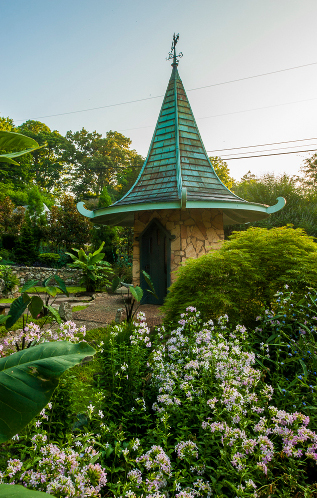 The Fountain City garden was inspired by Japanese garden designs, which had become popular through the early 20th century Art Nouveau movement. Work on the garden began in 1917, and was completed sometime during the following decade. In 1934, the Savage Garden was damaged by a tornado, with 19 uprooted trees tearing up rock formations and causing leaks in the ponds. The Great Depression forced Savage to reduce the work hours for Charles Davis, the gardener, and Davis left in 1937. Following this and Savage’s death in 1946, the garden remained in a state of disrepair for many years. 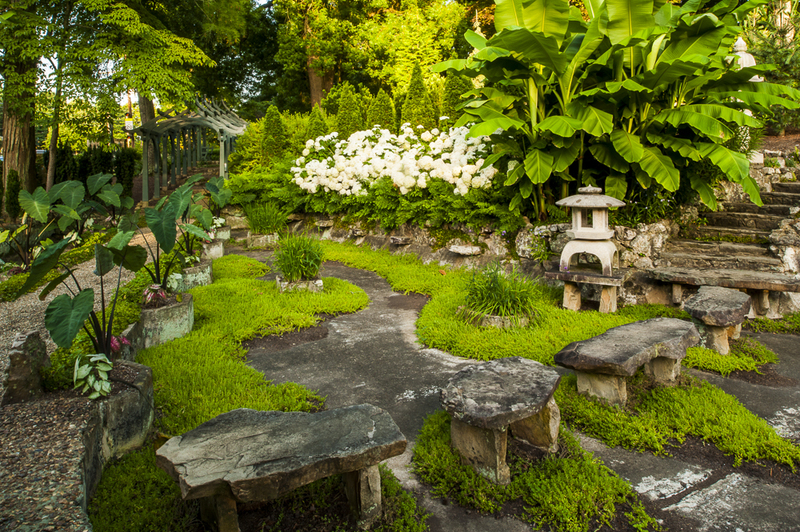 In 1986, the Savage family sold the garden to Bill Dohm and Patty Cooper, who operate the adjacent Garden Montessori School. Dohm and Cooper have since renovated the garden and restored the fountain. Plant species found in the garden include Japanese Umbrella Pine, Chinese Pistache, Jack-in-the-Pulpit, and Dwarf Crested Iris.